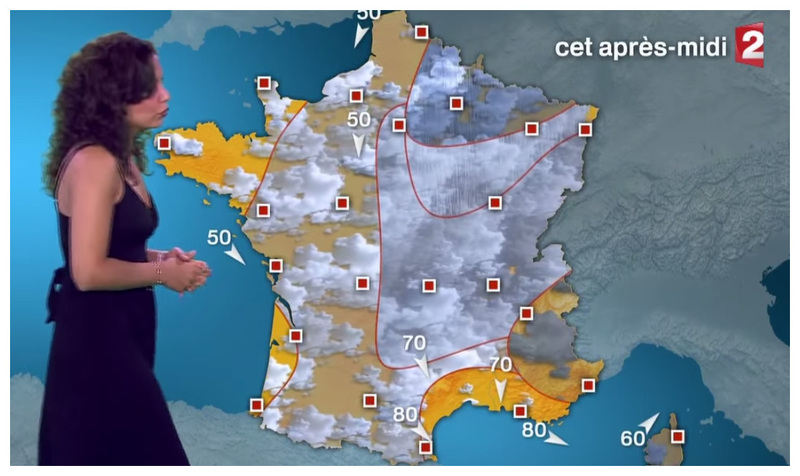 After living in France for four years i have to tell i am always aware of Meteo information on TV (well, i live in Brittany, i guess this makes sense!). It was the same in Spain or anywhere else in the world where i had lived and the reason why is i have always loved Meteo and statistiques, mostly after working as an aerial surveying photographer in the late nineties… but that’s another history. Weather forecast its quantitative data that distributes spatially, meaning every single spot will have a different figure, even if it’s separated no more than 1 mm, at least in theory. So the question is: as its impossible showing predictions for every single square mm of the area of interest, we need to estimate them using different models. Still if we point anywhere at the map we should know if the icon or figure applies or not to the spot i want to know about. Let’s make it easier to understand, lets use images!! !